Whether playing for cash, bragging rights or just for the thrill of it, you’re sure to find a number of first-rate online poker sites in Canada. Whatever pulls you in, you’re not alone. Not surprising too, considering among the greatest poker players in the world are Canadian, such as former WSOP Champion Jonathan Duhameland Daniel Negreanu, the current record holder for highest lifetime earnings. However, internet gambling has always been a grey area within Canadian law as the country was strictly anti-gambling before the criminal code was amended to legalize certain gambling activities in the 1970s. A decade and a half later, provinces and territories were given the right to decide if they should allow gambling in their domains and as result, some areas started hosting lotteries while others constructed casinos. It’s debatable though, if that edict gives the right for online casinos, online gambling or online poker. But beyond the provincial domains, Canadians thus far enjoy online poker without hassle. Millions of Canadians are currently wagering online, most hoping to win millions, of course, while others are in it simply to compete for a few dollars in tournaments amongst friends. Whether an online poker master or a weekend warrior, this guide serves to expound more on the Canadian online poker scene. For those who have never played online poker, it can be a little hard for them to identify the best poker sites in Canada since there are literally hundreds of poker sites which will be glad to welcome real money players. However, only a handful will offer players the experience they deserve. While lesser real money online poker sites in Canada will attempt to lure new players with clever ad campaigns or huge bonuses, the best poker rooms are those which excel in every category. Players can even play on their mobile devices on the best Canadian poker sites. What gamers need to look for in an online poker site is solid software, steady traffic during peak times plus great bonuses. All these make for a great real money poker room. More importantly, players should opt for Canadian poker sites that employ the best software platform since it ultimately determines every aspect; from connection quality to login time, to the clarity of the graphics to hand speed, and more. Before setting off for a game of online poker, it’s important to know that Canadian poker rooms have a range of different variations of poker. Naturally, there’s Texas Hold’em, in addition to the traditional variants such as Omaha and Stud just to name a few. Players also have a choice of Limit, No Limit plus Pot Limit. Many of the best Canadian poker sites provide players with quick tutorials to ensure they know the game type they’ll be playing before shuffling up and double clicking on a table or tournament. All Canadian poker sites offer real money games and tournaments. For real money poker, players bring as much cash as they want to the table but mostly up to a healthy maximum. Players are free to come and go as they please. The games runs continuously meaning there’s never quite an end but should a player feel they’ve won enough, they’re free to walk away. Tournaments on the other hand work a little differently; rather than bring cash to the table then getting an equivalent stack of chips, players buy in for a set price. Each player will pay a similar entry fee and receive the same stack of chips. The winner of the tournament is the last man standing, although there are prizes for the next few spots too, depending on the number of entrants. In short, the bigger the tournament, the more players will win. Playing poker online is legal for Canadian players. There are no laws which specifically target Canadian players although a few hazy laws target web-based betting operators. However, it’s illegal to operate poker sites in some provinces and territories meaning setting up a poker site located in the country isn’t recommended. But if merely playing in a poker site, players have nothing whatsoever to worry about. The one reason some poker sites won’t accept Canadian players might be due to worries surrounding future legislation; some are afraid that Canada could eventually pass anti-gambling laws and come after them. This is just a stretch at best since there a host of Canadian poker sites that still welcome gamblers. The poker legislation in Canada is very similar to that of the US which states that no one should operate or start a poker site. Nevertheless, the government has no problems with players anteing up on poker sites that owned or operated from outside Canada. The result has been a growth of a big number of poker sites which support players from Canada. These poker sites also offer special sign-up cash bonuses and other benefits that are used to play poker online. Moreover, a variety of promotional as well as other exceptional offers is provided in order to lure more Canadian players. The Canadian poker sites are renowned for their high quality playing experience coupled with among the best incentives in the poker scene. [CAD/CDN]. Most poker sites accept this currency and they also accept the popular deposit options made using this same currency. Of course, a Canadian poker site that doesn’t CDN payment options would hold little interest with Canadian players. Another important aspect is that the best poker sites for will allow gamers to play online Texas Hold’em in both English and French. Moreover, some poker sites provide their web pages as well as the software platform in French, and players are also able to enjoy French customer service support that’s on call 24/7. This is certainly a big boon for Quebec poker players. The two most popular variants of poker in Canada are Texas Hold’em and Omaha. Both these card games are offered by most top-line Canadian poker sites. As a matter of fact, the best poker sites offer the two poker titles as tournaments and ring games, providing players with an even greater choice. By accepting Canadian players, poker rooms must strive to ensure competitive VIP Clubs alongside enticing promotions in order to provide players with extra benefits above their bonuses. Together with rich promotions and bonuses for real money poker site players, there are also special tournaments which are a further incentive for Canadian poker players. An important feature with many Canadian poker sites is the fact that they accept a wide range of the more popular methods of deposit available in the market. As an example, the most commonly used internet payment solution when it comes to real money gambling within Canada is Skrill, which also happens to be almost always accepted for a variety of online transactions. eChecks [Electronic Checks] which are issued by Canadian banks are also accepted. These eChecks are among the most frequently used and secure deposit methods online, and they are the top option for real money Canadian poker sites. Finally, major credit/debit cards are also accepted due to their speed and simplicity and as such, they are a good option when playing poker for real money. 888 Poker is the best poker site for Canadians and has stood the test of time having been online for over a decade. 888 Poker has a reputation for having easy games with plenty of fish at the tables. 888 Poker gives new players $8 FREE and has modern software that now includes an option that allows you to play in 3D! You have probably seen Full Tilt Poker ads all over Canadian TV stations like TSN. Well Full Tilt happens to have a very large Canadian poker player base because the site is so well branded in Canada. Full Tilt has the second highest traffic poker site in Canada and continues to grow its market share. We are offering new members a $600 bonus and a chance to directly compete against professional players with starting entries costing $11 dollars. All active players will have the chance to earn Frequent Player Points which can be redeemed for merchandise, prizes or spots at tournament tables. Just like everywhere else in the world, Canadians on our site can take full advantage. 888 Poker offers the best poker games online in India, and you can play against thousands of players from all over the world to hone your skills. Create an account and you can choose a secure deposit method and be playing at the tables in minutes. PokerStars is the leading name in online poker, and there are plenty of reasons why. With over 20,000 people playing at any given time, there is plenty of action for poker players from India. You can play from your pc, smartphone or iPad, and they have awesome bonuses for your first deposit too. PartyPoker was co-founded by Indian businessman Anurag Dikshit back in 2001, and the company has grown into one of the leading online poker rooms. With cutting edge software and great action at the tables, this is definitely one of the top Indian poker websites around. With its $888 welcome bonus, huge variety of promotions and great tournament action, 888 Poker is a clear leader amongst online poker sites accepting South African players. And to make this site sparkle like a diamond it is also powered by some of the most state-of-the-art poker software around. There are also plenty of freerolls available to keep your bank balance healthy. Full Tilt Poker is a popular site that offers new players a 100% up to $600 first deposit bonus. Full Tilt Poker’s top features include the smooth game play and huge game selection available including the innovative and fast paced Rush Poker. 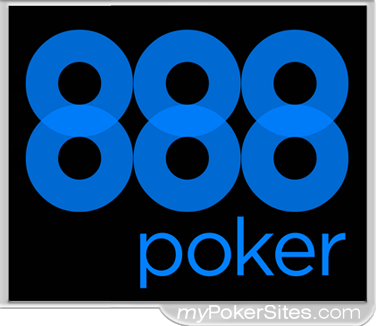 888 Poker is the #1 best online poker site for Australians looking to play poker online and offers excellent software, a huge $888 bonus, as well as great customer service. 888 Poker is one of the most well known sites amongst the Australia online poker sites thanks to its partnership with Shane Warne. 888Poker features large amounts of easy-to-beat players and $8 free for you to play poker with. Poker770 is another fine choice for Australian online poker players. 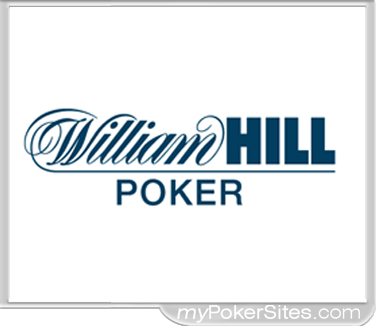 Winner Poker offers all new online poker players in Australia a 200% deposit bonus that is worth up to $770. Poker770 host a good range of tournaments, that are always busy, including qualifiers and satellites to major online and live tournaments. “Love to Win” is Party Poker’s motto and the Australia-friendly poker site provides players with several opportunities to win anywhere from $30,000 to $1 million in many of their tournaments online. 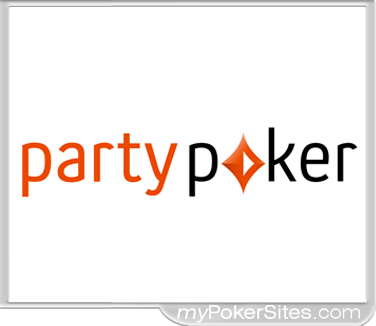 Party Poker was one of the first Australian online poker sites and is very popular in the Australian market. PokerStars is offering new members a $600 bonus and a chance to directly compete against hundreds of thousands of others playing online poker. Australia residents will have the chance to earn PokerStars Player Points which can be redeemed for merchandise, prizes or spots at tournament tables. Just like everywhere else in the world, Australians can take full advantage on PokerStars. Full Tilt gives Australian online poker players a 100% up to $600 bonus and wide open access to its 100+ professional poker players, who play at the tables. Soft poker players from all over the world are logged onto Full Tilt every day ready to give their money away. 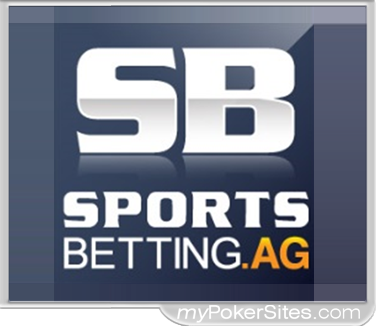 This makes Full Tilt a great pick for anyone looking for a good Australian poker site.